As with any first year event, there are always going to be hiccups; we had one to deal with right away on the first day of setup. In the email from the organizers, we were told the booth number that would be our home for the weekend. Upon looking at the exhibitor list and venue map attached to the email, Vector Finesse was nowhere to be found. Not a big deal at all, we signed up later than most, so naturally things like that happen. After showing up earlier Thursday to check out our spot before bringing anything in we began the setup adventure…well almost. When we came back with stuff we found that someone else had also been told they were in that same booth. After a quick conversation with the organizers we were whisked to another booth and told to inform anyone who arrived in the same predicament that we had before the location change to contact the organizers to get it all cleared up. Here’s where we ended up, it was much more complimentary to the layout we had planned. Just a quick hint of constructive criticism for the organizers next year: if you end up doing some last minute booth shuffling, keep an updated map for yourself and notify the affected parties of their new placement right away, even if it just consists of bombing a quick email. It’s a small thing that will actually save you time because all you have to do is take two minutes aside to send the email. We get the message and make changes accordingly without wasting your time by bugging you with phone calls, saving you from taking time to meet us on the floor to show us where we’re supposed to be. 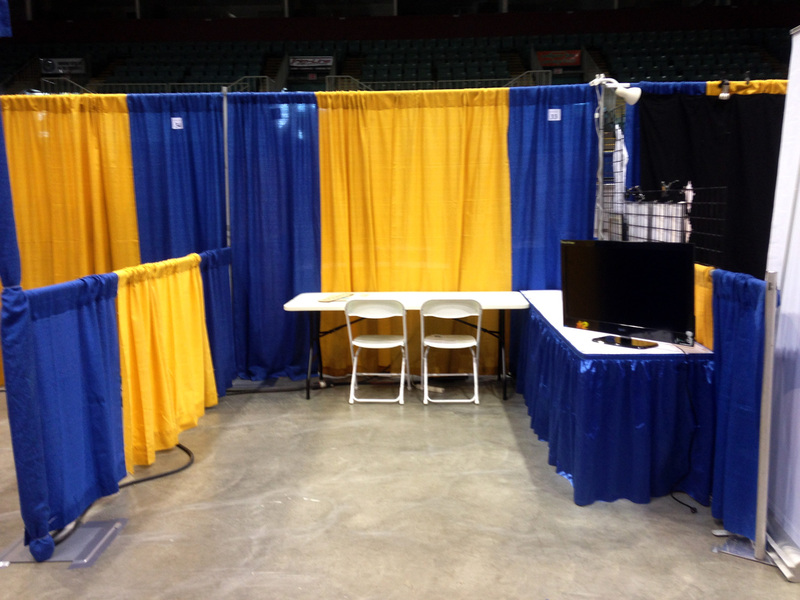 Once the booth location was settled things went smooth for the rest of the setup. 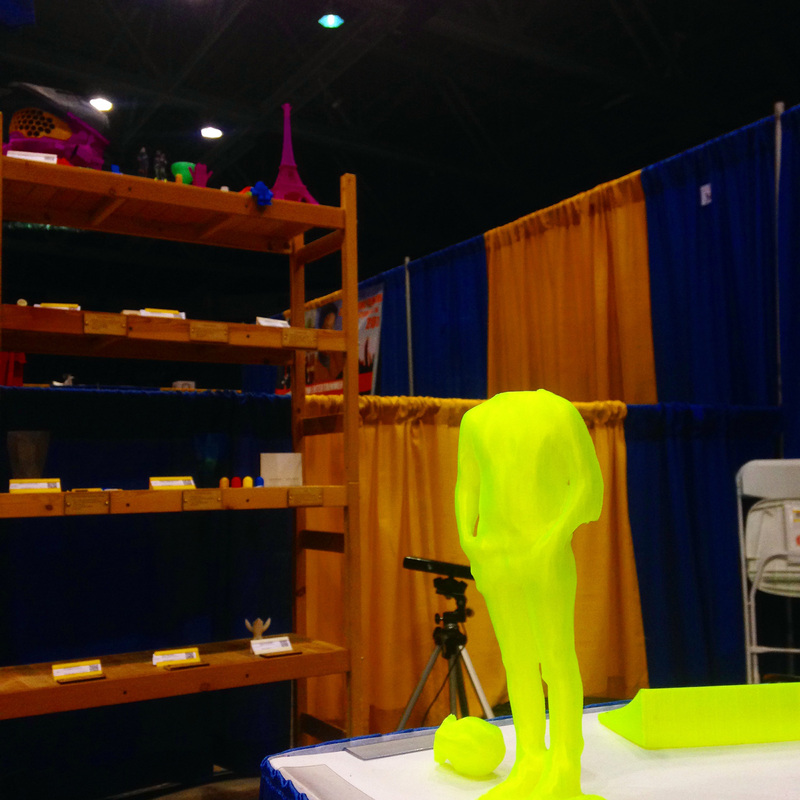 We tried to make our booth as traffic-friendly as possible because if there’s anything we know from years of watching 3D printers work, everyone (ourselves included) loves to get close and watch them do their thing. Post-setup. We maximized the ability for people to move around inside our space by putting everything on the outer edges. 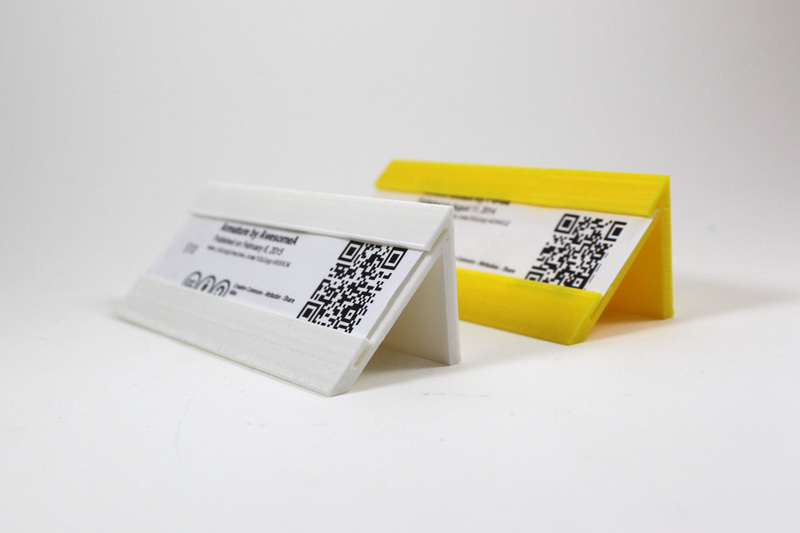 We realized that we didn’t have anything to display the Thingtags for the pieces we didn’t design ourselves, so our happy helper person Douglas used TinkerCAD to whip up his first ever 3D model, a Thingtag holder: Not bad for 20 mins and zero 3D modelling experience! 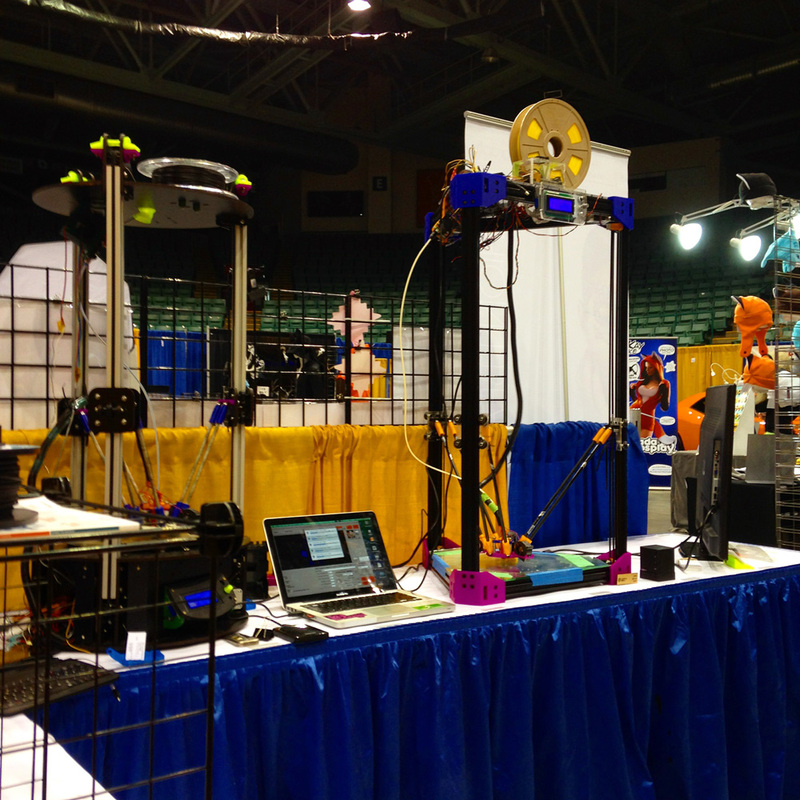 Talk about the most localized manufacturing possible; we were literally making parts for our booth in our booth! Fan Con 2015 was definitely one of the most insane things we’ve experienced so far. From the time the doors opened at 3PM on Friday night until it all shut down at 6PM Sunday evening there was very little time to relax. It seemed like there was a constant stream of people. On the first day time flew by; 3PM until 7PM felt like less than an hour and we were starting to lose our voices already. We skipped the Friday afterparty to get some sleep in preparation for day two. Pictured: the calm before the storm. 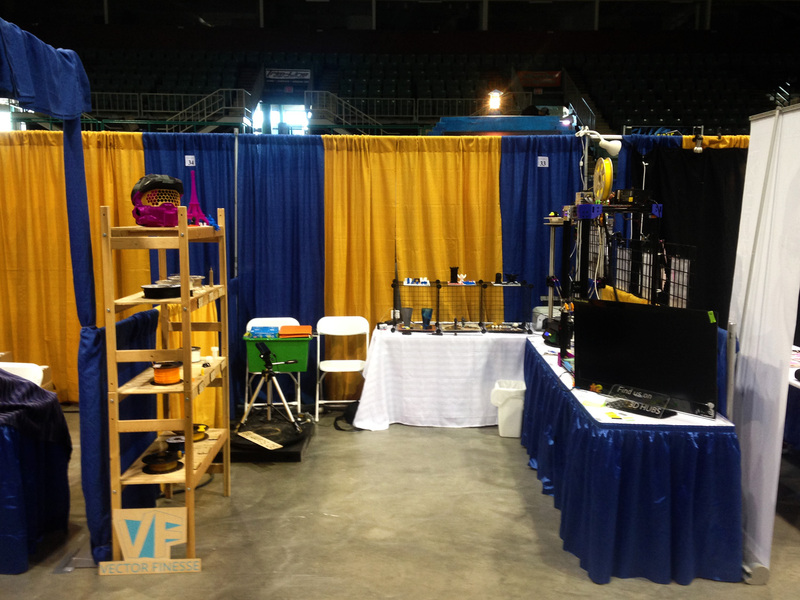 Saturday was the big day, there were only two of us to man the booth and with morning prep we would be there a full twelve hours from 9AM until 9PM. It was just as busy if not busier than day one but for a longer period of time. Somehow we found time to make friends with the people in the booths surrounding ours. We had Canada Cosplay, Daniel Mcleod Photography and a gentleman named Mike, an old school comic collector/reseller. It felt like we had one of the most popular corners in all of Fan Con, there wasn’t a time while the doors were open we didn’t have a crowd of people milling about. 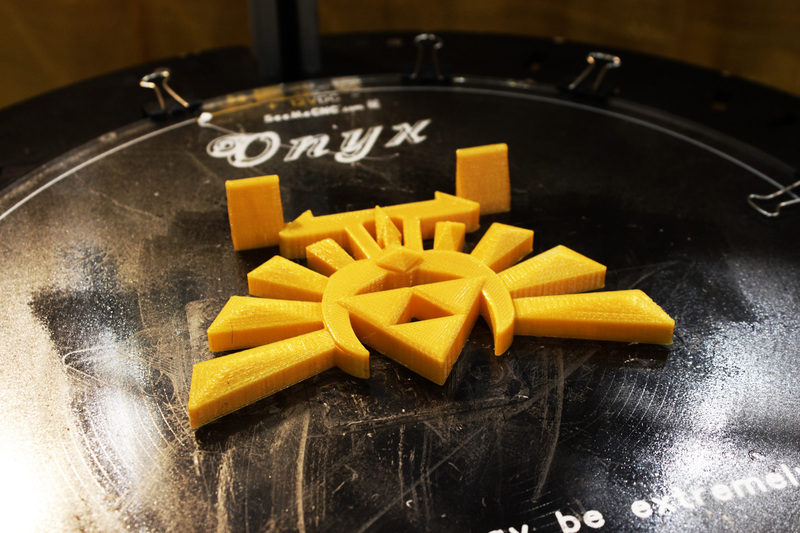 The Hyrule Crest proved to be one of the most popular pieces in our booth. In the VF booth, there we saw a full spectrum of reactions to the machines from confusion to giddy excitement. Many people were surprised to find out we were locals, and the massive stack of business cards we started with was reduced to a single lonely card by the end of the weekend. We also got a chance to finally see the finished product of Trevor Elkey’s Boba Fett costume which we printed a prop speargun and radio antenna for. The Citizen talked to him a little bit about the time and effort that goes into making a costume that will get you into the 501st legion. Our sentiments around 9PM Saturday. The old saying goes “when in Rome do as the Romans do.” It might have been fatigue that made us think it was a good idea to go to the afterparty on Saturday night after a twelve hour day. Here’s the sight we were greeted with on the dance floor: Apparently everyone didn’t get the memo about the Romans? 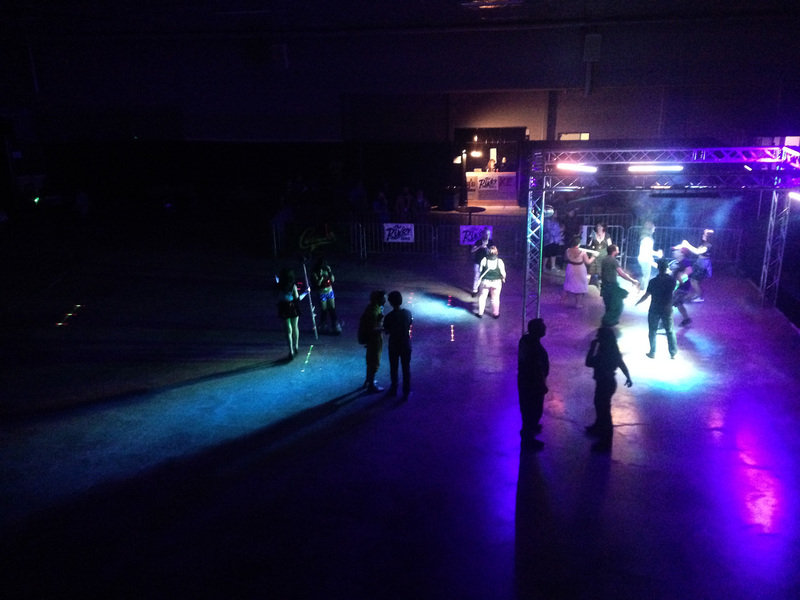 I have never had that much space on a dance floor, I felt like Gene Frenkle after being told by Bruce Dickinson to “really explore the space,” so explore I did. Hopefully everyone gets on the boat next year and there is a better turn out for the after parties. Overall, Fan Con 2015 was a great experience. We met a ton of people and got lots of much needed exposure, all the while having so much fun it didn’t even feel like work. The first year is always the one for working bugs out, as time goes on, the event will only get better. We’re looking forward to seeing all the people and surprises that are in store for next year!